International environmental politics and human rights powerhouse Peter Stoett, PhD, is changing the social justice landscape. Renowned for his tireless advocacy of social inclusion and sustainable development initiatives, he is passionate about promoting interdisciplinary research to mitigate critical issues. His diverse personal research agenda focuses on transnational environmental crime, marine pollution prevention, climate justice, and Canadian-American environmental relations. He has also worked extensively on genocide and war crimes prevention and punishment. On the global stage, he is collaborating on the development of a flagship United Nations (UN) publication, Global Environmental Outlook, and recently co-developed two UN-based MOOCs with the UNEP in Nairobi, Kenya. While in Tasmania on a recent sabbatical, he worked on marine plastic pollution prevention policies. Dr. Stoett also helped establish Future Earth, a major research consortium housed by Concordia University in Montréal, Québec. 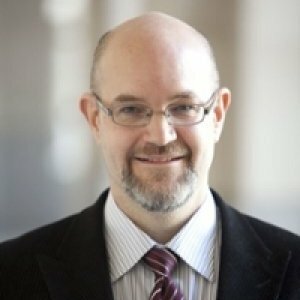 At UOIT, he aims to expand graduate and post-doctoral programs in burgeoning areas including environmental criminology, as well as undergraduate programs linked to sustainability studies, and to reaffirm the strong role of humanities in a highly technological age by exploring the ethical implications of artificial intelligence and mass surveillance. Previously, Dr. Stoett was Director of the Loyola Sustainability Research Centre, and Chair of the Department of Political Science at Concordia University in Montréal. He has taught in many countries including Costa Rica, Italy, the Netherlands, and England, as well as at the University of British Columbia and Simon Fraser University, and several Ontario universities. He has written, co-written and co-edited more than 10 books including the best-selling international relations textbook Global Politics; published over 50 journal articles and chapters in edited books. An early introduction to George Orwell’s 1984 dystopian image of the future prompted his lifelong interest in themes of state power and legitimacy, democracy and human rights, and resistance to oppression. He earned his Bachelor of Arts (Honours) and a Master of Arts in International Development and Canadian Government and Politics from the University of Guelph. Inspired by the birth of his first child, he moved into the study of global environmental sustainability and received his Doctorate in Political Studies from Queen's University in 1994. Nominated by the Government of Canada to contribute to the United Nations Environment Programme's flagship publication Global Environmental Outlook (GEO-6), Dr. Stoett is a Global Contributor in Governance, Outlooks and Policy sections as well as Regional Contributor/Lead Author in the Regional Assessment for North America. He is also the Co-ordinating Lead Author on the Biodiversity section for the Global Report due in 2018. Dr. Stoett serves as a Co-convener of the Earth Systems Governance Representations of and Rights for the Environment Workgroup. Appointed to the Alumni Council of the Fulbright and U.S. State Department International Visitor’s Program of United States Consulate in Montréal. Funded by the university's Institute of Development Studies, Dr. Stoett provides mentorship for Support to Improve Climate Research and Information Systems in South Asia. Dr. Stoett has been appointed to the Working Group on Invasive Alien Species Indicators, Biodiversity Indicators Partnership with the UNEP World Conservation Monitoring Centre. Dr. Stoett was appointed to the Sustainable Cities Advisory Committee of McGill Institute for Health and Social Policy at McGill University, Montréal. Dr. Stoett is an Editorial Board Member for Review of Policy Research: the Politics and Policy of Science and Technology; International Wildlife Law and Policy; Islamabad Law Review (International Islamic University, Pakistan). On July 12 scientists from U.K.-based research team Project MIDAS announced that a one trillion-tonne iceberg broke off the Antarctic peninsula. The iceberg is 5,800 square km —larger than Prince Edward Island—and its volume is twice that of Lake Erie. The news has researchers not only wondering about the long-term impact of the break (also known as ‘calving’), but also about what the future holds for Antarctic research and policy. The University of Ontario Institute of Technology announces the appointment of Peter Stoett, PhD, as Dean of the Faculty of Social Science and Humanities, effective Monday, July 17. Dr. Stoett is a highly respected academic leader, program builder, mentor and champion of social inclusion and sustainable development initiatives. He joins the university after teaching at Concordia University in Montreal. This four-year research project focuses on the role of botanic gardens in communities around the world. The research will explore how botanic gardens are interacting with each other, assess their scientific potential and output, as well as whether they can be used as agents of change. What are the most important transnational governance arrangements for environmental policy in North America? Has their proliferation facilitated a transition towards integrated continental environmental policy, and if so, to what degree is this integration irreversible? These governance arrangements are diverse and evolving, consisting of binational and trinational organizations created decades ago by treaties and groups of stakeholders—with varying degrees of formalization—who work together to address issues that no single country can alone. Together they provide leadership in numerous areas of environmental concern, including invasive species, energy efficiency, water, and terrestrial and aquatic wildlife. This book explores these arrangements, examining features such as stakeholder inclusion, organizational activities and functions, and issue comprehensiveness. The Strategic Plan for Biodiversity, adopted under the auspices of the Convention on Biological Diversity, provides the basis for taking effective action to curb biodiversity loss across the planet by 2020—an urgent imperative. Yet, Antarctica and the Southern Ocean, which encompass 10% of the planet’s surface, are excluded from assessments of progress against the Strategic Plan. The situation is a lost opportunity for biodiversity conservation globally. We provide such an assessment. Our evidence suggests, surprisingly, that for a region so remote and apparently pristine as the Antarctic, the biodiversity outlook is similar to that for the rest of the planet. Promisingly, however, much scope for remedial action exists. The prediction of emerging infectious diseases (EIDs) and the avoidance of their tremendous social and economic costs is contingent on the identification of their most likely drivers. It is argued that the drivers of global environmental change (and climate change as both a driver and an impact) are often the drivers of EIDs; and that the two overlap to such a strong degree that targeting these drivers is sound epidemiological policy. Several drivers overlap with the leading causes of biodiversity loss, providing opportunities for health and biodiversity sectors to generate synergies at local and global levels. This chapter provides a primer on EID ecology, reviews underlying drivers and mechanisms that facilitate pathogen spillover and spread, provides suggested policy and practice-based actions toward the prevention of EIDs in the context of environmental change, and identifies knowledge gaps for the purpose of further research. Global health catastrophes have complex origins, often rooted in social disruption, poverty, conflict, and environmental collapse. Avoiding them will require a new integrative analysis of the links between disease, armed conflict, and environmental degradation within a socioecological vulnerability and human security context. Exploring these connections was the aim of Avoiding Catastrophe: Linking Armed Conflict, Harm to Ecosystems, and Public Health, an expert workshop held in May 4–6, 2016, at Concordia University in Montréal, Québec, Canada. In September 2015, the United Nations adopted the 2030 Agenda, a transformative plan of action for people, planet, and prosperity containing seventeen Sustainable Development Goals. To inform and animate the negotiations, the UN launched an ambitious series of consultations, involving inter alia governments, civil society, business, knowledge-based institutions, and citizens. This article contributes to the debate on democracy and global governance, drawing on democratic theory and the lessons of the elite donor-driven process that led to the Millennium Development Goals. It argues that, in the age of globalization, citizen participation is vital for the effectiveness and legitimacy of global governance. It then assesses the nature and extent of such participation in three UN 2030 Agenda consultation channels: the High-Level Panel, the national consultations, and the MY World citizen survey. The latter, in particular, exceeded the expectations of stakeholder democracy and ventured into a more direct participatory realm. Climate change has myriad implications for the health of humans, our ecosystems, and the ecological processes that sustain them. Projections of rising greenhouse gas emissions suggest increasing direct and indirect burden of infectious and noninfectious disease, effects on food and water security, and other societal disruptions. As the effects of climate change cannot be isolated from social and ecological determinants of disease that will mitigate or exacerbate forecasted health outcomes, multidisciplinary collaboration is critically needed. Since 9/11, the wars on terror, economic crises, climate change, and humanitarian emergencies have led decision makers to institute new measures to maintain security. Foreign policy analysts tend to view these decisions as being divorced from ethics, but Unsettled Balance shows that arguments about rights, obligations, norms, and values have played a profound role in Canadian foreign policy and international relations. This special issue represents an assessment of international organizations and transboundary networks governing natural resource and biodiversity issues in and among Canada, Mexico, and the United States. The management of natural resources and protection of biodiversity is a highly technocratic process requiring collaboration and information sharing among a diversity of actors to facilitate the development and coordination of policy addressing complex and multisectoral issues. Numerous bilateral and trilateral organizations exist to ostensibly facilitate transboundary governance, yet the scholarly knowledge of their respective roles has many gaps. In this introductory article, we propose a typology of international environmental organizations based on two dimensions: (1) whether their activities center primarily on capacity building or regulation, and (2) the extent to which they exemplify the “bureaucratic” or “post-bureaucratic” model of governance. Using this typology we provide an overview of the special issue's contributions in terms of their assessment of North American bilateral and trilateral environmental organizations and transboundary networks. The first decade and a half of the 21st century has not been kind to Canada's reputation in the realm of international relations. This is the result of policy decisions that have alienated the country, as exemplified by the country's policy-making in two domains in which Canada had previously earned respect as a global leader hitting above its weight: international environmental protection and international justice. In this commentary, we argue that Canada's foreign policy in these two areas derive from a common reactive and dogmatic policy-making which is, despite its name, actually aimed at appeasing domestic audiences. Based on the acclaimed print series, Grzimek's Animal Life Encyclopedia, 2nd ed., this new supplement covers extinct life. Written for students and general researchers, this supplement explores all aspects of extinctions and extinct life. Approximately 80 articles outline major extinctions and related scientific areas. Entries are written by nationally renowned subject specialists and peer-reviewed by the editor-in-chief and an editorial board of academic experts specializing in zoology, paleontology, and environmental science.